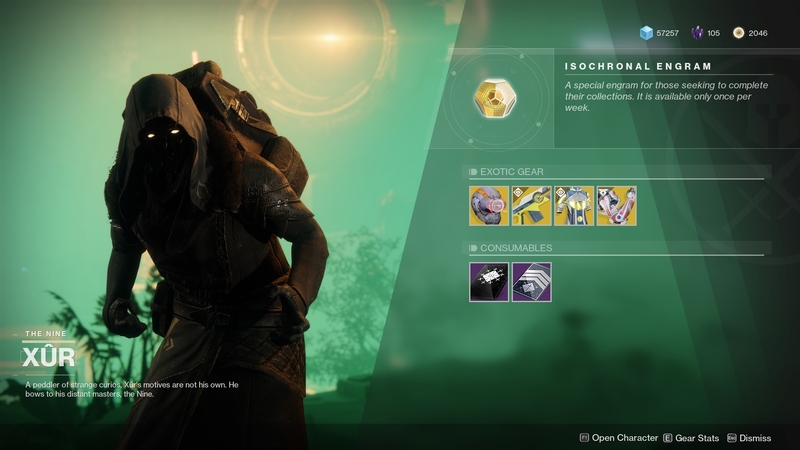 It's finally time for some new stock in Destiny 2's weekend-only store known as Xur, Agent of the Nine. Tentacle-face has brought with him one new item from the Warmind expansion this week, and Titans will be very happy to inspect it. It's an exciting time in Destiny 2. Players have come back to grind for more armor, weapons, and loot thanks to the expansion and a massive update that has overhauled many facets of the game. 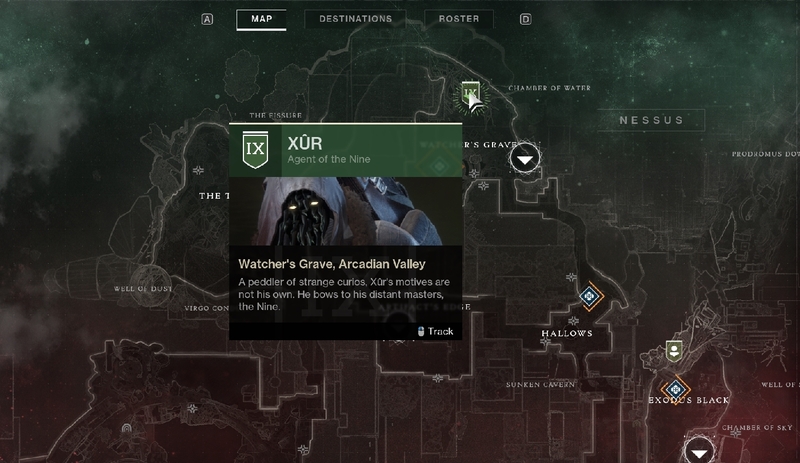 This week's Flashpoint is on Nessus, so Xur is in his usual spot on this destination. He's in the Watcher's Grave section of the map, standing on the branch of a massive tree. First up is this weekend's weapon, Prometheus Lens. It's a trace rifle that fires a Solar trace beam that generates a damaging heat field that grows while the weapon continues to fire. Kills with it will return a fraction of the ammo used to the magazine to effectively extend the beam's duration. It costs 29 Legendary Shards. Now to the fun stuff. The Titan armor this week is brand new, a pair of gauntlets called Ashen Wake. They're meant to pair with the Sunbreaker subclass, as it will make Fusion grenades explode on impact and gain increased throw speed. Grenades will also recharge faster when using a Solar subclass. They're on sale for 23 Legendary Shards. That's all for the new stuff as Hunters get Knucklehead Radar, a classic Exotic helmet. It provides you radar while aiming, making it a strong option for PvP action. It costs 23 Legendary Shards. Finally, for Warlocks, it's the Vesper of Radius chest piece. This armor makes your Rifts release an Arc shockwave when cast. Rift energy will recharge faster when surrounded by enemies, too. It costs 23 Legendary Shards. Tune in next week when Xur will hopefully have another new Exotic from the Warmind expansion, and pick up what you can while he's here this weekend.